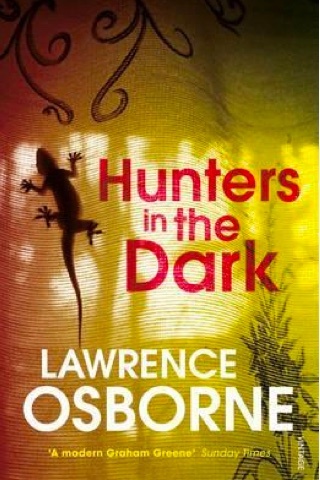 Cambodian-set Hunters in the Dark, by Lawrence Osborne, received rave reviews when it was published in 2016. We didn’t love it, as much as we wanted to: It’s a brooding, masculine book that relies somewhat on tired Southeast Asian tropical tropes of monsoon rains, jungle, the shadow of the Khmer Rouge and drugs. There’s simply not much new or freshly rendered here. Nevertheless, it is interesting to see how Cambodia is brought to life on the pages of a literary page-turner set well after the war years. The novel traces the tale of Englishman Robert Grieve, a teacher in his late 20s who is bored of life in his small home town. Travelling across the Thai border into Cambodia, he gambles away the last of his cash and wins enough to push on further into the kingdom and try to disappear. Robert meets a mysterious American, Simon Beauchamp, and moves into his stunning Battambang house, despite warnings from the local driver he has hired. Eventually, Robert ends up penniless in Phnom Penh. He takes on Simon’s identity, winning work as a private English tutor and seducing a student, the daughter of a wealthy doctor. The plot reads improbably to us, having lived several years in Phnom Penh, but we did enjoy seeing the city come to life in Osborne’s assured writing. The real Simon pops up again in the story, as does a Khmer police officer and Simon’s Khmer girlfriend; it's dark, and yes, quite thrilling in parts. But we couldn’t peel back the multiple layers of meaning that other reviewers have ascribed to the novel as it wraps up; more astute readers looking for a meditation on karma and destiny may have more success. This is probably a fine choice for a languid read if you’re taking the slow route exploring Cambodia; though it will have you thinking twice about befriending wealthy Westerners along the way.